Announced earlier this year, Foxtel Play has finally gone live today for PC, Mac, Xbox 360 and certain smart Samsung TVs ahead of its official launch, which was slated for mid-August. 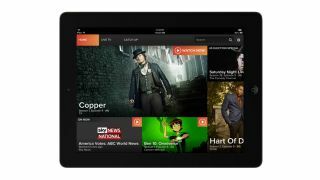 The IPTV service is offered on month-to-month plans through Foxtel's new app, which will be replacing the older Xbox 360 app. Subscribers will also be able to access Foxtel Go on tablets and phones, with Foxtel Play having access to 40 live channels, as well as on-demand and catch-up services. Foxtel has plans to expand Play to LG smart TVs in the future as well, and each package will come with Sky News, Sky News Business, Fox Sports News, Channel V and V Hits. Foxtel Play will come in four genre-based packages, with one package to cost $25, two to cost $35, $45 for three and $50 for all four. The Entertainment package will include Arena, Comedy, Fox 8, LifeStyle, MTV, You and TV1, while the Drama package will have BBC UKTV, FX, SF, SoHo and Universal. The Documentary package will have A&E, BBC Knowledge, Discovery, History, Nat Geo, Nat Geo Adventure and Turbo Max, and the Kids package will include Baby TV, Boomerang, Cartoon Network, Disney, Disney Junior and Nickelodeon. Extra Sports and Movies packages are available and can be added on for $25 each, but you won't be able to subscribe to these two on their own. As we've mentioned earlier, this means that the minimum spend would $25 month, while if you want the whole suite of programming, it will cost you $100 a month. The bonus here is that there are no lock-in contracts, and you could essentially get rid of the kids or entertainment packages during school terms, or add on the sports package for the world cup.